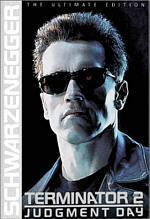 • "The Making Of T2: 3-D: Breaking the Screen Barrier"
• Links to Online Websites. T2 also belongs on that short list of sequels that surpass the originals. (Since Aliens also resides on that list, maybe Cameron should only make sequels.) The first Terminator was a fine, groundbreaking film, but it doesn't hold a candle to T2. Begrudge Cameron's enormous film budgets if you like, but the guy deserves credit: all that money shows up on screen, and his movies are genuinely better for the extra expense. Cameron uses the bucks to push the cinematic envelope, especially in regard to special effects. More than a decade down the road, the effects of T2 show their age, but they continue to hold up reasonably well. What looked absolutely, picture-perfect realistic in 1991 seems much more artificial now, but at no point did any currently recognizable flaws in the graphics negatively impact upon my enjoyment of the film. That latter fact probably stems from the overall level of quality found in T2. It's a nearly perfect example of how to make an action movie. While the focus has always been on the effects and the pure action of the film, what many neglect to recognize is that the characters really drive our interest in T2; without strong participants with whom we identify and sympathize, all the spiffy graphics and cool explosions mean little. Cameron definitely doesn't qualify as an "actor's director" - too many of them hate him for that to be the case - but he does seem to know how to evoke the best work from his performers. Though his characters tend toward stereotypes, Cameron manages to get his cast to make them into real people. Probably the best indicator of how strong a package Cameron creates can be seen in how easily one can ignore the many plot inconsistencies and flaws in logic found during T2. This isn't a "turn off your brain" movie from the point of view that it's dumb, but you're better off simply letting yourself go with the flow instead of picking nits. If you want to do the latter, there are many faults to be found; geez, they can't even keep plot points and dialogue from the first movie straight! In this case, however, I don't see the point in doing that, because the charms of T2 easily outweigh the drawbacks. The terminator remains the perfect role for Schwarzenegger: an artificial, largely emotionless killing machine. Back to back viewings of Terminator and T2 show that he actually did grow as an actor during the seven year interim - he's much more stiff and rote in the first film - but we're not talking any kind of quantum leap here. I'm sure Arnie does the best he can, but his true value to a movie is simply as a presence, not as a person. That's why he's so good as the terminator; he's there more as a force than as a character, and all of his many weaknesses as an actor mean nothing. The T-800 should be flat and mechanical, so the part really plays into Arnie's talents. The rest of the cast work tremendously well. Linda Hamilton shows definite growth from her work in the first film; she still plays Sarah Connor, but this is a completely different person than the rather meek victim we saw in 1984. The Sarah of T2 easily could have degenerated into a slightly more human version of the terminator himself - Sarah'd really buffed herself up in the interim - but Hamilton brings a strong sense of fear and doubt into what could have been a one-note psycho-chick part. Sarah's really the glue that holds T2 together, and Hamilton holds up her end tremendously well. One other potential disaster involved the young actor cast as Sarah's son John. He also plays a pivotal role in T2, and had the actor chosen not been very good, it would have seriously damaged the film (hello, Jake Lloyd!). Although it was his first film, Edward Furlong performs like a seasoned pro as John. He comes across as a natural performer and John seems like a real kid actually reacting to circumstances; at no point does he seem coached or prompted. John's progression from somewhat wild, overwhelmed kid into someone we believe could be a future world leader takes place slowly and subtly; Furlong doesn't resort to any showy theatrics to make the changes known. When you factor in his age, Furlong probably does the best work in the film. Also fine in their supporting roles are Robert Patrick as the T-1000 and Joe Morton as engineering whiz Miles Dyson. Patrick functions as the bad guy, but it's to his credit that he kept away from mimicking anything we saw Arnie do in the first film. The T-1000 is a much smoother, more fluid (literally) creation, and Patrick nicely embodies this sort of artificial form. Morton's one of those actors who has never really received his due over the years, probably in part because he seems to be stuck in supporting roles like this and his part in Speed. He deserves better, as he's one of the more elegantly understated yet powerful actors around, as we see in his fine performance as Dyson. Despite the minor screen time Morton receives, he manages to make Dyson a full-blooded, realistic character, and his presence enriches the film as a whole. Happily, we get to see more Morton in the "special edition" version of T2 found on this DVD. Actually, the disc includes three different cuts of the movie. The original theatrical rendition runs about 137 minutes, while the "special edition" version - first released through video in 1993 - lasts a hair over 153 minutes. Finally, through an "Easter egg" that'll be discussed later, what the DVD's producers call the "extended special edition" shows up here as well; it clocks in at 155 minutes and 43 seconds. How do all of these differ? Obviously, the biggest changes are between the theatrical cut and the special edition. The latter adds a fair amount of interesting information, though I didn't regard any of it as crucial. Some of the shots flesh out characters. As mentioned, we find more of Morton here, and I enjoyed the extra depth added to his role. Most of the scenes are essentially longer cuts of existing segments; for example, a significant addition has been made to the part in which John and Sarah repair the T-100. I don't want to provide too many details about these scenes, since much of the fun comes from discovering them yourself. Suffice it to say that as with the extended version of Aliens, compelling arguments can be made for either cut of the film. Of the three Cameron "special editions" now on the market, only The Abyss is clearly a better movie due to the changes; I think both Aliens and T2 work differently but are both still terrific either way. In the case of the "extended special edition", it adds one scene and also changes the ending shot of the movie. Again, I don't want to discuss specifics, but the scenes in question appeared as a supplement on the 1993 laserdisc boxed set. I thought the mid-film addition was slow but interesting, but I don't like the alternate ending, mainly because it's too explicit. However, it is cool to have the option of viewing the full movie with those snippets integrated. However, I wouldn't want to do it again, and chances are excellent that the special edition will be my T2 of choice in the future; although I don't think it really improves upon the theatrical cut, I've seen the movie so many times that it's nice to see something different, so I'll stick with it for the foreseeable future. How do you find the "extended special edition"? One way is to enter a code on the "special edition" menu; type "82297" - the movie's "Judgment Day" - on your remote, and you should then gain access to the "extended special edition". However, I found this method to be difficult and awkward on my Panasonic player. The easier route comes from use of the "title" menu on my player. The theatrical cut is "title 1", the regular SE is "title 2", so you won't be shocked to find that the ESE is "title 3". Just flip to that listing on the menu and bippity dip! You can watch the longest version of the film! Please note that all of the following remarks about picture and sound quality apply equally to all three renditions of T2. I detected no differences in those areas at any point. The biggest issue I encountered was a brief frame jump at 2:12:15 of the SE (or 2:13:42 of the ESE). However, even this blip is almost unnoticeable; all three versions of the movie feature equivalent quality. For the record, we get these three cuts all on one DVD through the magic of seamless branching, which "picks and chooses" what to show based on which version you select; essentially, the film is encoded as the longest edition, and the other two simply skip some material (though the ESE eliminates one shot as well, so all three have to jump past parts of the DVD). As with other DVDs in this category - The Abyss and Independence Day are the two most popular examples - I noticed no glitches related to this technology. The theatrical cut stood the greatest chance of demonstrating flaws, but it moved past added scenes smoothly and quickly; you shouldn't know that they're there. 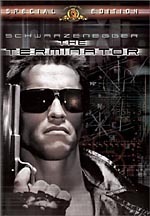 Terminator 2: Judgment Day appears in an aspect ratio of approximately 2.35:1 on this double-sided, double-layered DVD; the image has been enhanced for 16X9 televisions. The second iteration of the movie on DVD, the picture seemed very good for the most part, but a few problems affected it. The image remained quite sharp from start to finish. I saw only a few instances of a little softness, as the movie mostly looked detailed. I saw no problems with moir� effects or jagged edges, but edge enhancement created a few issues. This version of T2 seems to have gotten a reputation as a DVD with terrible edge enhancement, but I didn�t see it that way. While I noticed mild to moderate haloes at times, these didn�t come across as horrific. Nonetheless, they did cause some distractions and occasionally made the movie a little less defined than I�d like. In addition, the image displayed a few examples of speckles and grit and periodically looked slightly noisy. Black levels were quite deep and rich, and contrast seemed strong; the dark tones never seeped into any form of haze or muck. Shadow detail was terrific, as all dimly lit shots come across clearly and smoothly. Considering the dark design of the film, that's important, so it's great that the DVD handled these areas so well. Overall, colors seemed accurate. The production design of T2 cast much of the movie in a metallic blue tone and this came across properly. In addition, whenever other hues appeared, they were bright and bold; we saw some excellent reds at times, for instance. However, I've always thought the picture appeared vaguely oversaturated; it didn't look grainy but a kind of haze seemed to mar the image from time to time. This clearly was a production issue and didn't relate to the mastering of the DVD; I've seen three different laserdisc renditions of T2 plus three DVDs and they all looked this way. Overall, the image earned a �B�. T2 featured three separate soundtracks. It includes a Dolby Digital 5.1 EX mix, a DTS 5.1 ES track, and a Dolby Surround 2.0 version. I screened the first two but not the last for this review. The DTS version held a slight edge above the Dolby track; the differences weren't extreme, but they were significant enough to make the DTS edition the T2 audio of choice. The DTS mix provided a very robust soundfield that encircled the viewer during most of the movie. The forward spectrum sounds especially lively and active, as I heard audio from all three front channels nearly all the time. In addition, the mix provided a nicely integrated sound, as the audio in the front blended and panned between channels very cleanly and smoothly. The surrounds kicked in a great deal of ambient information; they didn't quite keep up with the forward channels, but they held their own and added a nice dimensionality to the track. All in all, it's a fine mix that really helped involve the viewer in the experience. Quality also seemed excellent. Although much of the dialogue had to be dubbed - and further altered, in the case of Furlong, since his voice changed during the shoot - speech always sounded natural and distinct, with no edginess or problems related to intelligibility. Brad Fiedel's excellent score sounded very crisp and warm, with all aspects of it seeming clear and well defined. Even though I've seen this movie many, many times, I actually heard new aspects of the track on this occasion, and much of the new-to-me material concerned Fiedel's music; the DTS version reproduced it more succinctly than I'd ever witnessed. Effects were clean and realistic � or hyper-realistic, when appropriate - and they showed no signs of distortion, no matter how loud the track got. The entire package kicked in some taut and strong bass throughout the film, and the result was a very impressive soundtrack. How did the Dolby Digital 5.1 mix differ from the DTS version? As sometimes is the case, in subtle ways. I found that the DD track offered a slightly less-smooth audio environment; the channels seemed a little too discrete at times and the entire soundfield wasn't as natural or well integrated. Bass response also appeared somewhat better on the DTS track; the Dolby mix produced some nice low-end, but it just doesn't live up to the depth and warmth of the DTS edition. Ultimately, the Dolby track worked well on its own and it remained a strong piece, but anyone with DTS capabilities will clearly opt for that rendition. While the audio improvements found here are certainly nice, and I'm happy to have the special edition version of the film on DVD, the biggest draw of the T2 "Ultimate Edition" comes from its plethora of supplements. For years, the 1993 LD boxed set has been regarded as one of that medium's absolute best; the thing was often referred to as "film school in a can". The UE DVD sets to replicate that package, and I'll examine how well it succeeds. Most of the extras appear on side two, but some interesting stuff can be found on side one as well. Of the items discovered on side one, only some cast and crew biographies - listed under Mission Profiles - fall into the category of traditional supplements. We get listings for the four main actors (Schwarzenegger, Hamilton, Furlong and Patrick), plus Cameron, co-writer William Wisher, director of photography Adam Greenberg, and composer Brad Fiedel. Although they vary, the overall quality is quite good; the entries provide some detailed and interesting data about the participants. One odd omission: Cameron's bio makes absolutely no mention of his directorial debut, 1981's Piranha 2: The Spawning; it acts as though the first Terminator was his initial attempt at the helm. One negative about this package: I found the chapter search options � listed under "Jump into the Timeline" - to be rather awkward to use. This occurs mainly due to the over-use of animation. The chapters are available in blocks of six, and you have to choose them based on the groupings of numbers. This means you won't find out the names of the chapters until you've committed to one block, and to have to repeatedly go back and forth to find the segment you want out of the 80 possible (for the SE and ESE) makes the entire enterprise a serious chore. Yes, I'm aware that the chapter names appear in the DVD's booklet, but that text is not always convenient when you need it, and I watch movies in a darkened room anyway, so even if I kept it by my side, it'd be useless. Animated menus can be cute, but they often interfere with simple playback, which happens here. As first seen on the Fight Club DVD - and also available with Supergirl and some other Anchor Bay DVDs - T2 UE includes the THX Optimode program to set up your TV. This provides you with information to correctly configure various audio and video aspects of your home theater. I don't think it fully replaces something like Video Essentials, but then again, "Optimode" comes as a free addition to a DVD, so it's clearly a bargain. If you haven't already used VE or some similar product, you should find "Optimode" very helpful. The "Optimode" is a little hidden, but here's how to find it. If you enter the "Sensory Control" menu - the place to alter audio and subtitle settings - and click your remote to the left, it'll highlight a "THX" icon on the endoskeleton's skull. Click again and there you go! Speaking of THX, the DVD actually features a brand-new THX trailer that appears prior to the start of the movie. I'll leave the content for you to discover, but it relates to the movie itself and makes for a nice change from the usual THX promo found on virtually all other certified products. Unfortunately, these promos cause some unintentional problems: partially due to their presence, it was a serious pain to switch between audio tracks. "On the fly" changing has been disabled, which meant I had to go to the main menu every time I wanted to alter the sound. In the best of circumstances, that's a nuisance, but due to the presence of those Dolby/DTS trailers and the THX title plus the awkwardness of the chapter selections, it became even tougher than usual. All of this made one-to-one comparisons of the sound much more difficult; by the time I'd switched to the other track, the sensory memory of the other one had started to dissipate. I still was able to make an overall comparison, but it was tougher than I'd like. Side one also includes some DVD-ROM content. Since I don't have a DVD-ROM drive, I can't say much about this, but I did find the text on the DVD that's available for all viewers to offer some interesting remarks. To find this, go to the "Mission Profiles" menu and click to the right. That highlights "DVD-ROM". Click again and read! It's nothing terrific, but it was worth the effort to read the notes, which are written by "John Connor". If you do have DVD-ROM capabilities, the presentation will apparently let you view "over 700 storyboards" and the script as you watch the film. The final supplement on side one is an audio commentary that features a whopping 26 participants. Normally I like to list all speakers, but that's not gonna happen here! Suffice it to say we find a nice mix of performers and crew, all narrated by "creative supervisor" Van Ling; he was the brains behind this DVD package, and he also worked as a visual effects coordinator on T2. This track first appeared on the 1993 laserdisc release of the SE, and it features recordings of participants that were done individually; no, they didn't cram 26 people into one room. Although the commentary provides a nice general look at T2, I must admit I've always found it moderately unsatisfying. Partially this occurs because of the mass of participants; we hear so many different voices that continuity can be an issue. Ling does a nice job of wrangling all the speakers, but he ends up doing much of the talking. While he's a good source of information, it seems illogical to have so many different options yet we get so much from one fairly minor participant; no offense to Ling, but I'd sure rather hear more from Cameron, Schwarzenegger or any number of other more prominent contributors. Ultimately, I like the track and think it adds some solid information, but I still feel it could have been much better. One nice touch: when you select the audio commentary, it automatically activates a second English subtitle option. That one shows the name of all speakers when they make their remarks. Considering the high number of participants, this addition can be very helpful and is a thoughtful touch. That ends the contents of side one. Now we move to the meat of the matter on side two, where the vast majority of the supplemental features reside. A good introductory point comes with the "Information Programs" area. This section includes three different featurettes. First we find The Making of Terminator 2, a 30-minute and 35-second piece that originally appeared on the 1991 limited edition CAV boxed set of T2. This show offers a pretty nice little overview of the movie through a combination of interviews, movie clips, and behind the scenes shots. The program is clearly promotional in nature - I believe it was a syndicated offering that was found on various independent TV stations - but it still gives us some solid information about how the film was made. It's a nice general look at T2. The second program, a 22-minute piece called T2: More Than Meets the Eye, takes a much more specific focus on the movie. 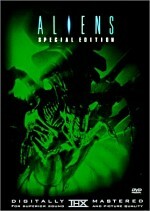 Originally created for Showtime, it details the changes made between the theatrical cut of the film and the special edition version. On the positive side, we hear various participants like Cameron and Schwarzenegger discuss the originally omitted sequences and tell why they were dropped. However, the program actually shows these clips as well, which means much of the running time is filled with film snippets that are extremely redundant for those of us who've already seen the SE. Also, this aspect of the piece makes the show a really bad viewing choice for anyone who hasn't already watched the SE, so skip it until you've done so. The program offers enough good info to merit a screening, but keep the remote handy so you can zip through the movie clips. Finally, a completely different focus occurs during The Making of T2 3D: Breaking the Screen Barrier. This 23-minute and 10-second program covers the creation of the T2 attraction found at Universal Studios theme parks in both Florida and California. T2 3D brings back all of the "name" talent associated with T2, so don't worry that this is some cheesy knock-off; Cameron, Schwarzenegger, Hamilton, Patrick and many members of the crew return for this mini-sequel. We learn about its genesis and how different aspects were achieved. I've seen T2 3D many times, and it's a terrific show. The documentary works best for those of us who've taken in the USF attraction, as the various elements make more sense for veterans. However, I think it'll be interesting for anyone and the program merits a viewing. The Visual Campaigns area includes nothing but advertisements. We find four US trailers - a great teaser plus two theatrical promos and one SE clip - and also get five Japanese ads as well; the DVD features two teasers and three full trailers. Compendiums of trailers get rather redundant sometimes, so this section seems a little excessive, but I'll take too much over too little any day. Now we move to the last domain of side two, the Data Hub. As the name implies, this is the prime source of T2 data; it packs in most of the content of the three CAV laserdisc sides used on the 1993 SE, and adds some new tricks as well. We get a few subdomains in the "Hub". In the Source Code section we find the film's entire final shooting script. If you want to read it all, you'll have to cover 574 stillframes to do so. I'm sure the DVD-ROM presentation of the script is more "user friendly", but for those of us who don't have DVD-ROM drives, I'm happy the text is offered in this manner. Additional stillframe materials arrive in the Tactical Diagrams area. This place features a slew of storyboards for T2. Since not every portion of the movie was storyboarded, we find all the available boards here but not all the movie's scenes. In any case, there are a total of 765 storyboards in this section. They're organized into 17 different scenes, which range from a low of six boards for the alternate ending to a high of a whopping 179 boards for the "Tanker Chase" segment. One nice aspect about these storyboards is that many of them feature elements that didn't make the final film; we can see each of the individual scenes in one of the cuts of T2, but not every planned part of those segments was shot. As such, the boards provide an interesting view of some slightly different cinematic possibilities. The Interrogation Surveillance Archive provides a wealth of video clips. Essentially, two kinds appear: "behind the scenes" footage and interview segments (which are often played on top of additional shots from the set). 60 different clips pop up here, and they run for a sum of about 75 minutes. That includes a few that have two audio tracks, one with three pieces plus another that has seven sound options; the total possible running time I give factors in all viewing possibilities. Overall, these segments are quite informative and interesting, but I'll save discussion of them for the next section, as they'll make more sense in that context. Despite the awkwardness of access, the information for in the "Data Core" is absolutely terrific. The chapters mix a lot of text with photos, drawings, interviews, behind the scenes shots, and animated demonstrations to tell you just about everything you could ever want to know about how they made T2. 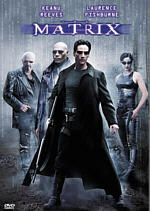 The DVD covers the genesis of the project, follows mutations of the script, gets into casting and training, and covers different aspects of the shoot itself (locations, costumes, weapons, etc.). A great deal of emphasis is placed on the ground-breaking visual work, which is examined by effects houses; for example, one chapter looks at ILM's efforts, while another shows what Stan Winston Studios did, and so on. After the smorgasbord of effects, the area wraps up with post-production information that details subjects such as editing, scoring, and publicizing the film. All 60 of the video snippets found in the "Interrogation Surveillance Archive" originally appear in the "Data Core". While I very much appreciate their inclusion separately - especially since many of them are buried within various "DC" chapters - I think that they're best experienced amidst the context of the full "DC" entries. Some of the interviews and behind the scenes clips make less sense when removed from the surrounding text; they were meant to be viewed as part of the larger piece and function best in that environment. Note that some of the snippets start awkwardly, but that's just the way they are; you aren't experiencing any DVD glitches, though it may appear that way when speakers seem to start talking mid-thought. If you plan to work your way through all of the "Data Core" material, you'd better take off a lot of time from work. I didn't try to measure the total amount of time I spent with the information; too much of it was split up because of other tasks I had to do. Nonetheless, I think a reasonable estimate to fully digest all of the "Data Core" text and videos would be six or seven hours, and that might underestimate the time required. It's a lot of information to examine. For the record, the various video clips aren't the only parts of the "Data Core" that are repeated elsewhere. For example, one of the chapters available in the "DC" displays all the same storyboards seen in the "Tactical Diagrams" department. Although these duplicate entries may seem superfluous, they actually make the DVD's presentation run more smoothly. For instance, the storyboards are much better organized in the "TD" domain, since they're broken down into scenes; otherwise they're shown in order and skipping certain parts would be difficult. The semi-redundancy just means greater flexibility, and that's a good thing. As already mentioned, though the "ISA" area takes the videos out of context, it makes many of them more accessible, which is positive. Personally, I think all of this information is best experienced through the "Data Core" as a whole; use the other options to re-visit favorite parts later. It may seem tedious to go through the wealth of "Data Core" text and film in order, but I think it really adds to the T2 experience. The program is so thorough and detailed that it all creates a wonderfully deep impression of how to make a movie, and I wouldn't want to skip any part of it. Clearly you'll like some areas more than others, but you should give all of them a shot; chances are you'll feel more satisfied with the end result. If you just want the "Cliff's Notes" version of all that data, however, check out the excellent 32-page booklet included with the package. It provides a very succinct yet still fairly comprehensive overview of the film's creation. Obviously, it lacks the depth of the full set, but it works nicely on its own. The booklet also features chapter listings for both the theatrical and SE versions of the movie plus those of the "Data Core". Finally, it gives us an overview of the DVD's supplements and also duplicates the LD's detailing of the changes made for the SE cut of the film. The incredibly comprehensive nature of this material is what made the original laserdisc boxed set such a winner, and the DVD does an amazing job of replicating that package. What's missing? Very little, as far as I can tell. The most notable omission concerns the absence of the great Guns 'n Roses music video for "You Could Be Mine". Apparently the rights to this track could not be obtained, so we don't find it here. The text in the "Data Hub" chapter called "Promotions" has been updated to discuss the video and also to show some stills from it. In place of the LD's chapter 45 - which was completely devoted to "You Could Be Mine" - the DVD adds chapter 48, a new piece that covers T2 3D. This section is almost completely comprised of text, as we find some good general notes about the production and also find a full reprinting of Estelle Shay's detailed and excellent Cinefex article about the attraction. No, we don't get any footage from T2 3D itself, but this chapter does include an ad for Universal Studios Hollywood. The only other LD omission I can discern involves the booklet. The LD provided some liner notes from Cameron himself that discussed his reasons for creating the SE. Similar statements from the LD leaflet of The Abyss ended up bundled within the DVD's text materials, but I didn't find them in a corresponding spot on T2; for reasons unknown, they seem completely absent. While the list of LD deletions is small, we discover many materials that didn't appear in that package; in addition to all the T2 3D materials I already mentioned, quite a few other extras can be found on the DVD. None of the three documentaries existed in the SE LD. As I discussed, "The Making of T2" was offered on the original December 1991 limited edition CAV LD, but neither of the other two programs bowed on US LD. Other additions are less major. The LD included the US teaser and two theatrical trailers but lacked the SE ad and Japanese promos. Some parts of the "Data Core" text have been updated as well; technical discussions of the creation of the DVD appear, for instance. Of course, the LD didn't offer the "extended special edition", Dolby Digital 5.1 sound or DTS 5.1 audio, either, and it sure wasn't enhanced for 16X9 televisions. Does this mean owners of the LD boxed set should just throw their discs out the window? No, although I'd be tempted to sell mine if the market offered higher prices; you'd probably be lucky to get $25 for the LD now. In any case, I'll keep mine because CAV laserdiscs make stillframe access much easier and quicker than do DVDs; depending on your player, it can be a chore to plod through all of those screens of material on DVD, but it goes quickly and easily on LD. For me, that makes the LD set worthwhile, and I'll retain mine for those purposes. One other issue I encountered in regard to the DVD's supplemental features: as I worked my way through the "Data Core", I sometimes got "kicked back to the desktop" at the end of chapters. In case that computer expression makes no sense, it means that when one chapter ended, I sometimes was sent back to the main menu instead of to the next "DC" topic (or at least the "Data Hub" sub-menu). To say the least, this got old quickly. This glitch may have occurred to me more frequently than average because I tended to fast-forward through video segments - in order to time them more easily, I wanted to watch all of them through the "ISA" area - but it also happened during a few chapters that lacked any video material. Hopefully this will not cause you a problem, but be aware that it dogged me. However, none of this means I think T2 fans who already own the LD should skip this fantastic DVD; it offers too much new information and provides too terrific a presentation to be missed. In the case of The Abyss, one could argue that the DVD didn't improve much on the excellent LD set, and they'd be right; the DVD featured Dolby Digital 5.1 sound, but the mix showed only subtle differences from the old Dolby Surround track on the LD, and the lack of anamorphic enhancement and few added supplements made The Abyss a more questionable repurchase; I still endorsed it for LD owners just because it improved the quality in general, it made a much more convenient package without all those side changes, and it cost so little, but I could understand folks who decided not to get the DVD. That same opinion does not affect the Terminator 2 Ultimate Edition DVD. If you have the LD SE boxed set: get it. If you have any prior LD release: get it. If you have the previous DVD version that featured the theatrical cut: get it. If you have half a brain in your head and the requisite funds in your pocket, get this DVD. Despite some mild problems related to its picture, it offers the strongest audio to date as well as a plethora of supplements. This remains an excellent DVD.